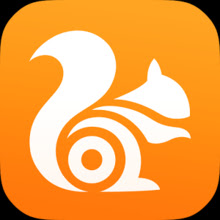 UC browser is a free and fast web browser for Android phones and devices. The app gives users access to faster online content including their favorite songs, popular videos, cricket match updates and more. Uc browser also included ad blocker in their browser, users can choose to enable the ad blocker during online browsing to avoid being bombarded advertisements. This application provides a very fast speed, Which means users do not have to bear any slow speed during online browsing. The application is also offering the Night mode Which helps users to save their eyes from their phone screen light. You can customize the UC browser according to your needs and personalized it. Also, the UC browser provides customized cricket feature for the cricket fans to receive latest cricket news, watch live cricket streams, check out the scorecard. You need very minimal data to use the UC browser apk and provides a user-friendly experience. Below we have shared some great features offered in the UC browser for its users. In the latest version of UC browser, users can download and check out the popular status videos. Users from India can share the popular status videos on their WhatsApp account if they log in through UC browser. UC browser servers provide speed up and stabilize downloads. If any disconnection occurred during downloading, your download will be paused at that breakpoint and Uc browser can continue downloading from the breakpoint. It also saves your time for the downloading files by accelerating the download process. No more frozen pages. Enjoy the easiest and user-friendly internet surfing. Your search results appear instantly, quick access to social sites, web search, and entertainment. The UC browser has added special cricket feature for the fans of cricket. Live cricket matches, scorecard, and other information related to cricket can be easily searched. UC browser compresses the data, Increases the navigation speed and help us to save cellular data traffic. You can save more data as you do more browsing through the UC Browser. The ad block feature blocks different types of ads for you when you browse through the UC browser. It will block all the pop-up ads for you when you visit the web pages on your android devices. Now UC browser allows you to watch TV shows, dramas, movies of different categories such as humor, clips, girls, anime, trailers, or even war films. UC browser included Facebook Mode to speed up Facebook regardless of your internet connection. UC browser offers the night mode. The users can switch to night mode on UC browser to read more comfortably at night. UC Browser apk will need following permissions on your Android phone and devices. Clear the cache of applications installed on your device. We have provided you the direct link below of the UC browser Apk file. Just click on the download button and the download will start.